Train services in the Lake District are delayed after a person was hit by a train. 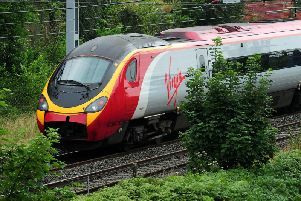 Virgin Trains took to social media at 4.07pm this afternoon saying that services between Oxenholme Lake District and Lancaster were delayed "due to an incident being dealt with by emergency services". A company spokesman confirmed to the Post that "a person has been hit by a train between Oxenholme Lake District and Lancaster". They added that all lines are blocked while the incident is dealt with. An agreement has been made for valid tickets to be used on Cross Country trains between Birmingham New Street and Glasgow Central in both directions until further notice. North London Eastern Railway is also accepting tickets between London Kings Cross and Glasgow Central in both directions until further notice. A spokesman for Northern said that disruption is expected until 5.30pm.